Help to fight Facebook’s secret plan! Facebook will cuckold or whore you, or both, in the next 24 hours if you do not copy and paste this blog entry in its entirety as *your* status update, message it privately to 100% of your friends, and then share your friends’ shares of this share. Know, being cuckolded and whored is not without consequence, not in this or any other civilized society; so if you do not in the next 24 hours (at print it was just around 9:30 AM, GMT -6) copy and paste this text as *your* status update, message it privately to 100% of your friends, and then share your friends’ shares of this share, you will find yourself or your committed lover taken by Facebook to adulterous sheets, to engage acts performed only in hell, swept in the process to diabolical joy. There. Now, please help to spread the word. 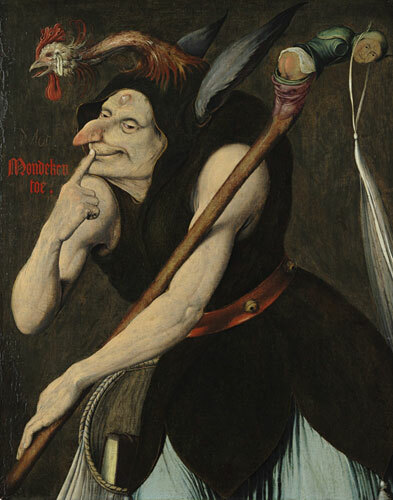 Image: An Allegory of Folly, by Quentin Masys, taken from Wikipedia. Categories: Culture, Literature | Tags: 24 hours, copy and paste, cuckold, cuckolding, ENGLAND, Facebook, gint aras, GMT, hell, Liquid Ink, Shakespeare, The Fugue, Troilus and Cressida, whore, whoring | Permalink.